Packing Up for Moving Day!!!! Well, it’s official!! We’re moving!!! That’s right after many months and much indecision about where and if to relocate, my dear other half and I have put a stake in the ground and decided to stay right here in sunny and lovely Santa Barbara!!! We are so thrilled and grateful to be able to finally settle in to a home of our own in the town we love. This decision, I’ll admit, comes with many emotions and mixed feelings for me. For the last 4 plus years we have been blessed with the ability to rent a lovely home on a 2 acre lot in the foothills of SB….. as if that wasn’t enough, this home also provided me with my own dedicated sewing space!!!! A dream come true for a quilter right?! That space is where I was first able to begin my journey as a modern quilter. 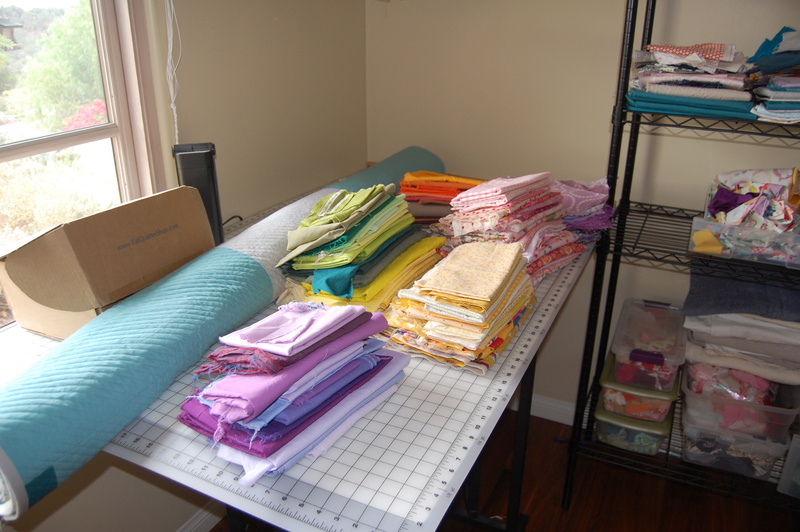 I created my blog here, I began using my design wall here, I taught myself so much about quilting and sewing here and learned so much about my own personal quilting style and aesthetic (although that is still constantly changing). The luxury of this space is/was that I could just start and stop projects when I wanted/needed without having to worry about how the mess and tools and such would impact the rest of my family! It seems for me a dedicated sewing space gave me the freedom to create as I wanted, in my own time and my own space. While I feel like I made great use of the space and accomplished much while we were here, now that I’m having to leave it, I’m realizing even more how fortunate I was to have it. For those four years, I am grateful! So, while I’m thrilled to be buying a home here, the sacrifice we make to be able to own a home in this ridiculously expensive town (gggrrrr- yes a bit of irritation over that), is one of size!! We are going to be experiencing a different way of life in this considerably smaller space. We are looking into the possibility of a yurt for our large backyard (which we will be able to use for addition/renovation space later on) , but until that happens, I will need to find a space to create in some little corner of our new and very tiny bungalow. We are giving up the country to live in a more urban setting, walking distance to downtown, the SB Museum of Art, beautiful parks, the farmer’s market, restaurants, coffee shops, etc. All amazing and exciting-yes…. And, on top of that, it’s ours, I can finally get chickens, make a garden space that the deer won’t devour, paint my walls (even if it’s just white), etc. But, I have no sewing space!!!! EEEEK!!!! As you can see, I’m quite torn…. It’s exciting, yet scary at the same time. 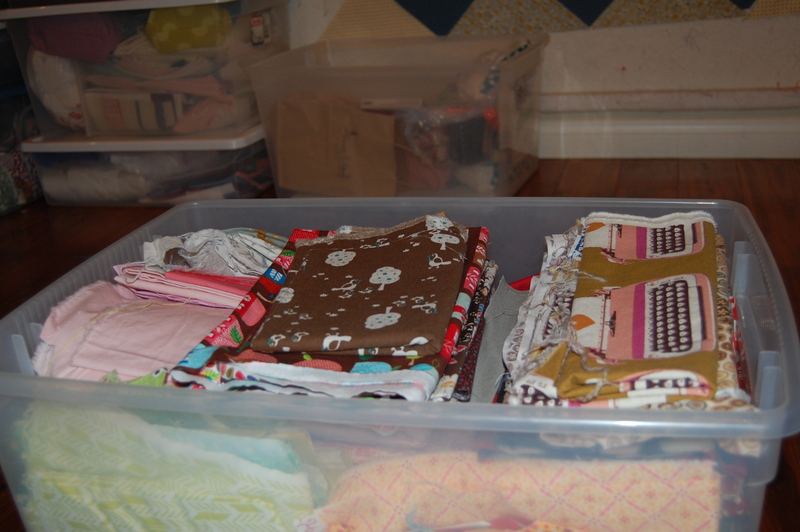 I feel like I’m still in such the beginning phase of my life as a quilter and now I am packing it all up just hoping for some small fraction of the space I had. Now that I’ve become totally hooked and passionate about quilting I will be in the position that I’m sure many of you reading this are in, how to make space to create, in a small home. I realize I’m not alone and that it can be done. 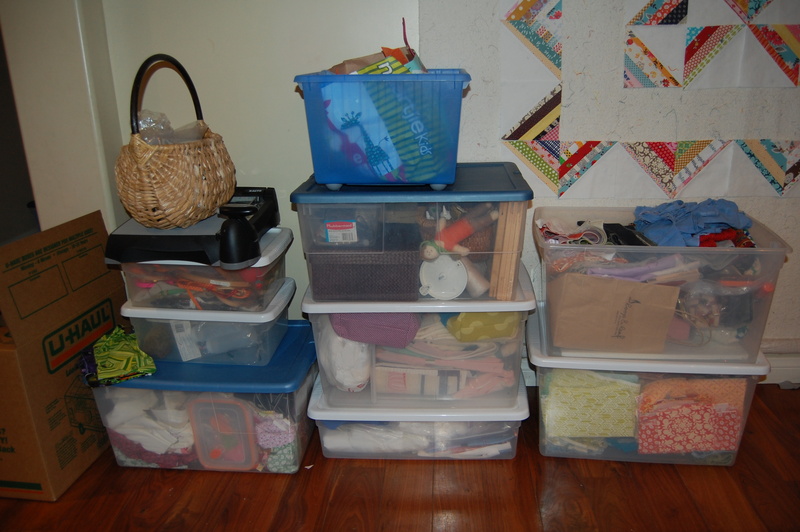 The work of scaling down and simplifying our life has begun and my sewing space is no different (photo above is of a small fraction of what I have- keep or pack up?). What can I live without, what are the bare essentials that I need to create what I’m drawn to creating? That is the question I’m working on answering right now and in the days and weeks to come. Most of my fabric will need to be packed up in boxes for storage *** deep, sad sigh*** but I’m determined to keep some out and available and just challenge myself to work from just whatever small stash I allow myself. Not sure yet what it will all look like but one thing is certain, it will be different! Change is good and while a part of me is sad right now, another part is excited and hopeful and ready to embrace it all!! I look so forward to sharing the next chapter of my quilting journey with you all. I really enjoy this space and am so grateful you’ve come along for the ride. Best of luck in your new adventure! It would be so hard to go from having a great space for sewing, to not having that any longer. I’m not sure I could do it 🙂 Best wishes to you and your family, owning a home will be wonderful! Good luck in your new home, you can sew in a small space just as well as in a big space not to worry. I came from a very small space for quilting, the corner of my dining area. 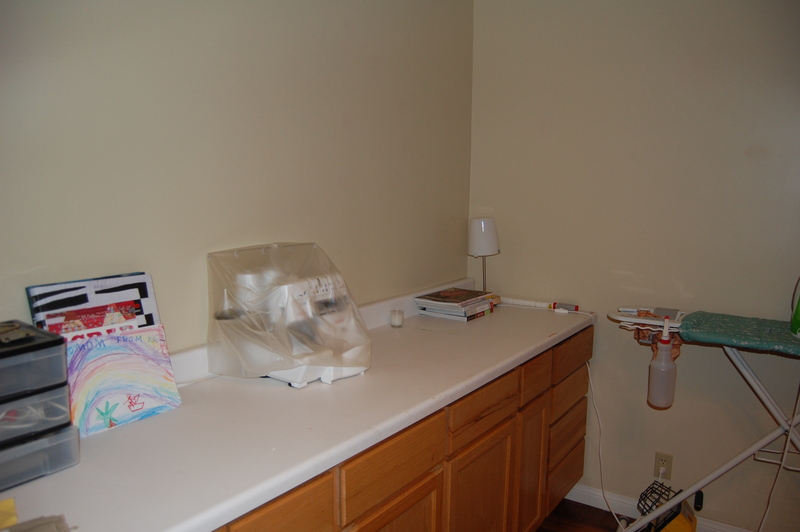 When we lived there, I found a cabinet (think dishes, not tv) that would hold my sewing things. I kept my whole stash in that small cabinet! I’ve moved into a space similar to what you had, and I like it, but I’m reminded of a time when I didn’t have space to spread out. I’ve kept the cabinet, and try to keep the stash mostly in it, still! Good luck on your move!! Yay, how totally wonderfully exciting for you and your family Karen. Well, not the losing the sewing room part, but you know what? It can be done. I’ve spent the last 3 years quilting and sewing like a mad woman and all that is happening in a small corner of our family/ living/ dining/ TV room. Good luck with your moving. Congratulations on having a decision and a new home. Indecision can take so much energy. I can relate…we just moved countries, my sewing machine was my carry on, a bit of fabric and tools in the suitcases. And luckily my large cutting mat in my husbands bike box! Some how I will make it work! Wonderful news! 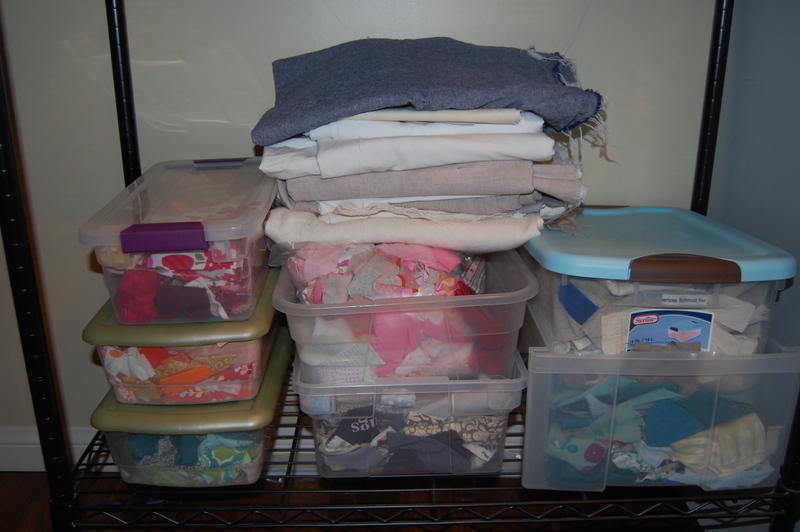 I manage my small space from this perspective…fewer clothes/shoes…closet space is for fabric!!! 🙂 Of course I don’t go much of anywhere…. :) Congratulations on a new place of your own! 🙂 I am confident your beautiful creativity will find it’s course to flow! Congrats on the house from this native Californian who longs for home. I spent two years in SB while in grad school–downtown living is great. Have you considered a stand alone shed for a temporary studio–such as from home depot–that you can wire for electricity? Of course these have large doors that can stay open most of the year, if you can handle that SB pollen. Good luck. I hope you adjust to your new space in no time! oh, do hope your move is smooth and stress free. You are going to love having your very own home. I’ve spent some time in Santa Barbara, it’s such a lovely town. I live in Portland Oregon ~ it’s so nice to have things like a farmers market, coffee shops, places to eat, etc within walking distance (my favorite fabric store ~ Cool Cottons ~ is about 15 minutes away by foot). Have lots of fun finding that spot to create! I can totally relate to this! We are moving and it’s absolutely the same situation at home ! :)))) I hope you are very happy at your own home!